There's stuff you see only when actually carrying a camera. A road trip day, so I’m ready to teach my photography class tomorrow. Driving is the kind of brainwave activity that encourages deep synaptic integration. In other words, lightning strikes and connections get made, like two people I should ask to come over to taste some cider and talk about food pairings. That could have been triggered from listening to one of my favorite podcasts, the CiderGuide. I fell behind; today’s driving entertainment was recorded back in November, part of which was an interview with John Bunker of Fedco Trees. 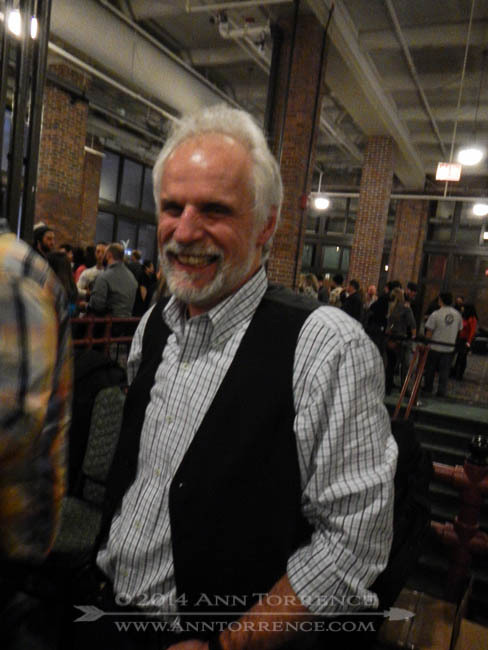 We met John at CiderCon last year and I loved hearing his perspective on the emerging cider industry. I’ll be buying his book and taking it to Chicago next month just in case he’s there to sign it. And their trees have done well for us, just saying. The podcast host reminded me that I had been meaning to share the article his other guest wrote about John Bunker last year. Read Rowan Jacobsen’s great piece in Mother Jones, Why Your Supermarket Sells Only 5 Kinds of Apples, and you’ll understand why I have 40+ varieties in my orchard, with another 15-20 on the way for 2015. I am so far behind on my writing goal for the month, I’ll never catch up. Oh well, it’s a short month, the fresh start is only in 11 days. I blame the sick person at the business association meeting last month who shared a cold that nailed my sorry tush. I am getting to be like Howard Hughes, dreading to go out into public for fear of germs. Honestly people: stay home when you are sick. Luckily I recovered in time for CiderCon2014 and CiderSummit in Chicago. 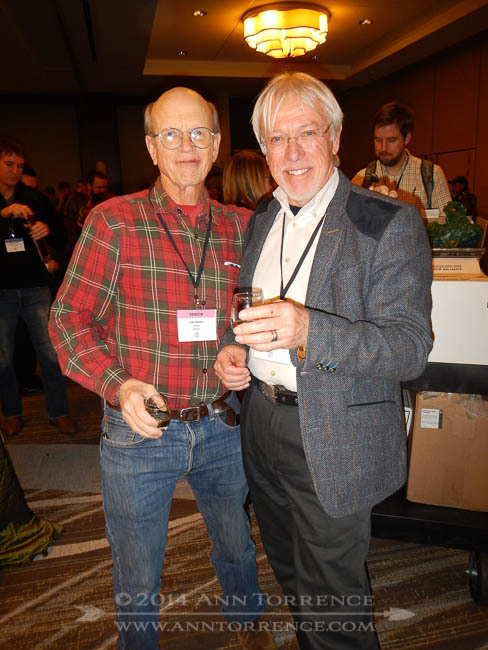 CiderCon is the flagship event of the United States Association of Cider Makers. About 400 people, mostly commercial ciderists, with some orchardists and cideries-in-planning represented. The take home message is that hard cider is booming! Plant trees! Plant more trees! We heard enough market data and demographics to feel confident that hard cider is not just a trend and that we are all on the steep slope of the growth curve. We were the only folks from Utah at the conference—no surprise there, since as far as I know, we are still the only ones with a commercial hard cider apple orchard in the state. I know of one other in the planning stages, and one that flamed out before the trees even got in the ground. I met a few folks from Colorado, had to hang my head in shame for not having joined the Rocky Mountain Cider Association (done on return!). One of our action items is a road trip to Colorado to visit Brad and Kathe at Colorado Cider Company in Denver. R and I split up the conference sessions to maximize the take-home value. He covered the biochemistry and food-handling workshops while I did mostly the orcharding track. A few speakers doing organic programs were of particular value, although I didn’t hear of anyone mention the word permaculture. As my thinking about our land management strategies has shifted toward permaculture techniques only over the course of this winter’s study, I wasn’t surprised that no one is trying it on a larger scale yet. Maybe someday we will have a story to tell ourselves that will help the ones to follow. I had a momentary mind meld with one of my heroes, John Bunker of Fedco Trees. We buy most of our seeds from Fedco. I figure if they can grow in Maine, there’s a good shot we can get a harvest in our short season too. And we have a few of their trees. John will do a custom graft of a small number of trees, so next year, I may try to fill out the library with some more unusual specimens. But we had a great time talking about their permaculture food forest experiment—they have replanted an acre with standard apples in what they call a functional forest and are working on the understory species now. John knows a ton about the other fruits that I am interested in adding to our orchard, like quince and cherries for wine-making. One of the academic attendees watched us do this data dump with an confused expression on his face. We weren’t talking about the apples grown as trellised row crops that is the new industry standard. We weren’t talking about maximizing immediate return. We weren’t talking about industrial scale food at all, which is exactly the point. The conference ended with a group photo and the celebratory pouring of many bottles of participants’ cider from all over the country. Living in Utah, we have such a hard time getting to try enough ciders to develop our sensory awareness of the product that this was a real opportunity for some applied learning. The next day we went to CiderSummit, a public tasting event held at the Navy Pier on Lake Michigan. 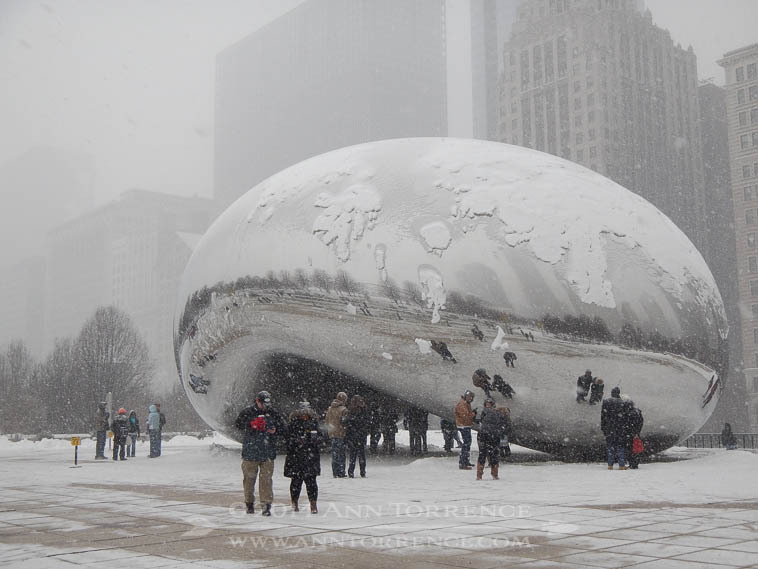 I bought tickets for the second session, which gave us time to do a walkabout of downtown Chicago in the snow. Did I mention it was kind of cold while we were there? 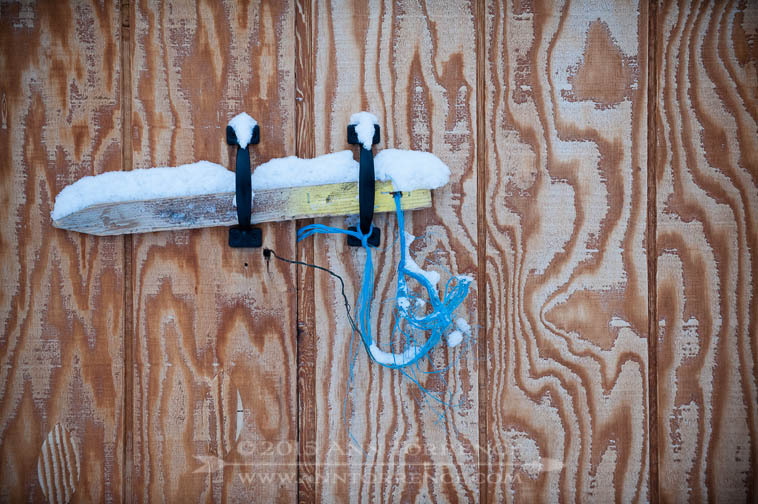 Like minus something and damp blowing wind the first couple of nights? By Saturday it had warmed up to about 15 and the snow was coming down in that magical, cover the winter grime kind of way. We walked to the Art Institute of Chicago for some more sensory overload. For years R has used slides of Seurat and other pointillists’ paintings in his color vision lectures, talking about how they were reading the scientific literature of the day and trying to apply it to their art. Seeing the paintings for himself was a real treat. 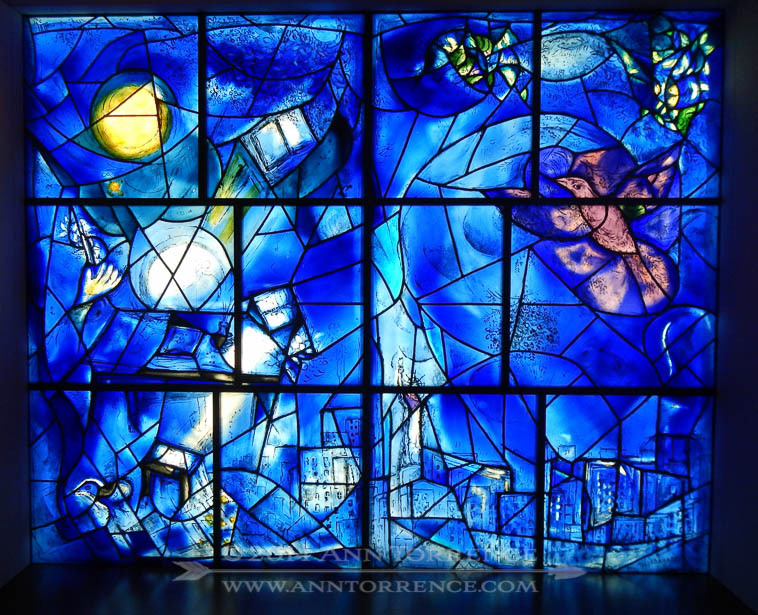 The Chagall stained glass was another highlight, as was the classical Greek sculpture and pottery. It always happens in big museums-we end up getting sidetracked by things we had only read about in books. 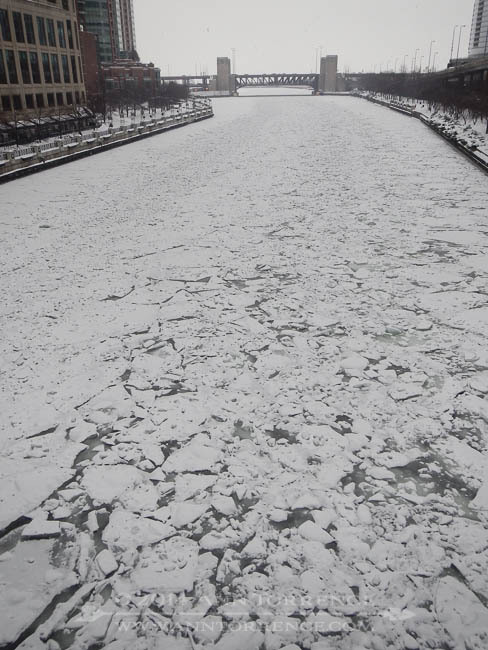 After we overloaded on art, we bundled up and walked down to the waterfront for CiderSummit. The way these events work is that you first pass a drinking age id check (first time I’ve been carded in decades), then get issued a glass and some tickets. There were about thirty booths, most pouring more than one bottling, so again, we got to try a lot of new-to-us ciders. At one booth, we ran into Rich Prima, who we had met at Glynwood a year and a half ago. 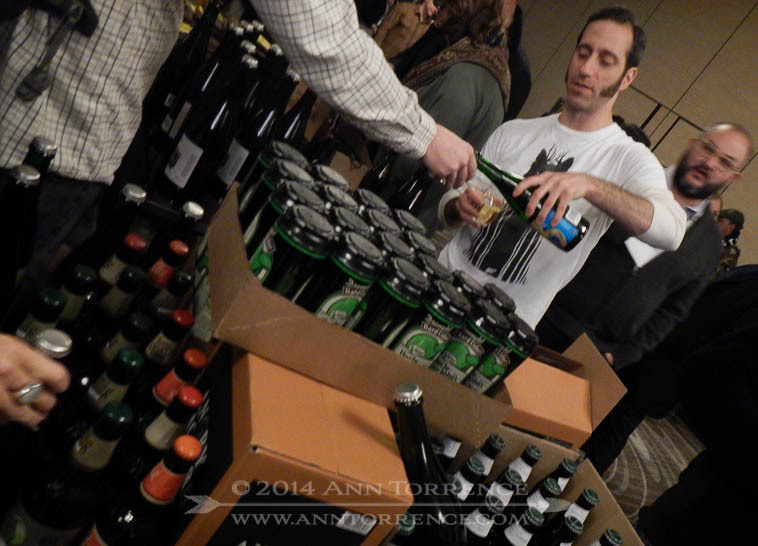 It was fun to see him actually pouring for the public and doing well with his new venture Prima Cider. We also tasted a surprisingly excellent cherry cider from Tandem Ciders out of Michigan and an ice cider from Eden Ice Cider Co. in Vermont. When we went to try Stella Artois’ entry into the mainstream market, the booth-tender had disappeared, leaving his jacket and an iced bucket of bottles. On our way out, the rep had still not returned, so some of the guests had taken on it themselves to start pouring samples. A reasonable entry into the market, one I described as “refined by a focus group” to avoid any distinctive flaws. 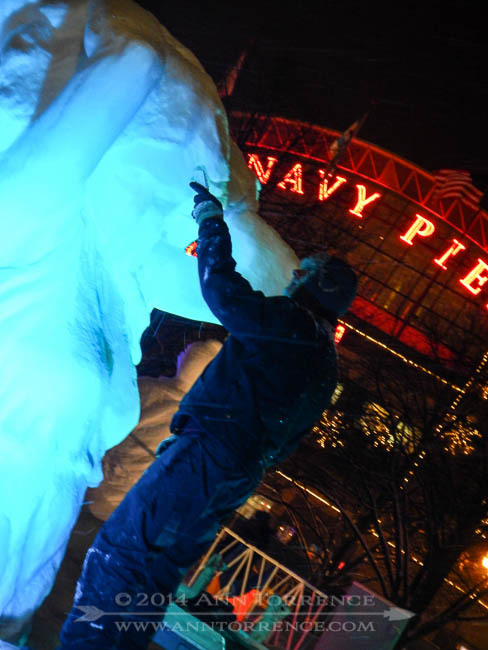 Winter Wonder Fest was going on outside the Navy Pier. 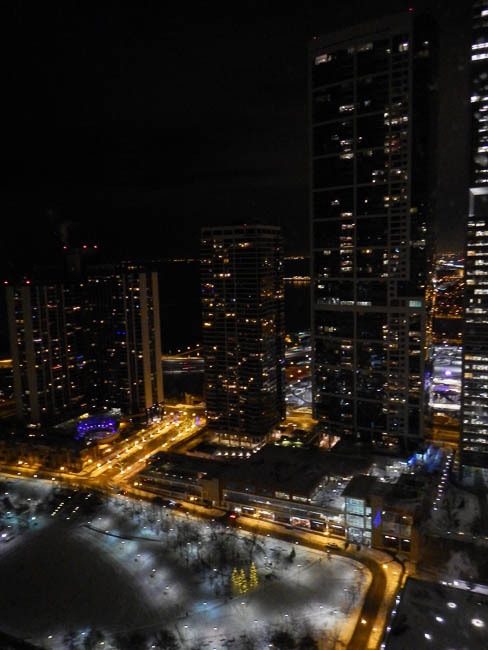 Yes it was that cold in Chicago and we still had a wonderful time. The great thing about the industry right now is that the pioneers and major players all seem to share an attitude that a rising cider tide will lift all of our kegs. The attitude at the conference was “grow the cider category” and not to worry about competition amongst the producers. No one can produce enough cider fast enough to meet the growing demand. The result was an incredibly open and useful conference experience. The take home message for us is that we need more land and more trees. I won’t say it can’t happen, but right now I have no idea how it will come to pass. In the meantime, we have some work cut out for us this spring planting the trees that are coming in April. Mark your calendars for a planting party on Saturday April 26! We are going to need all the help we can get.